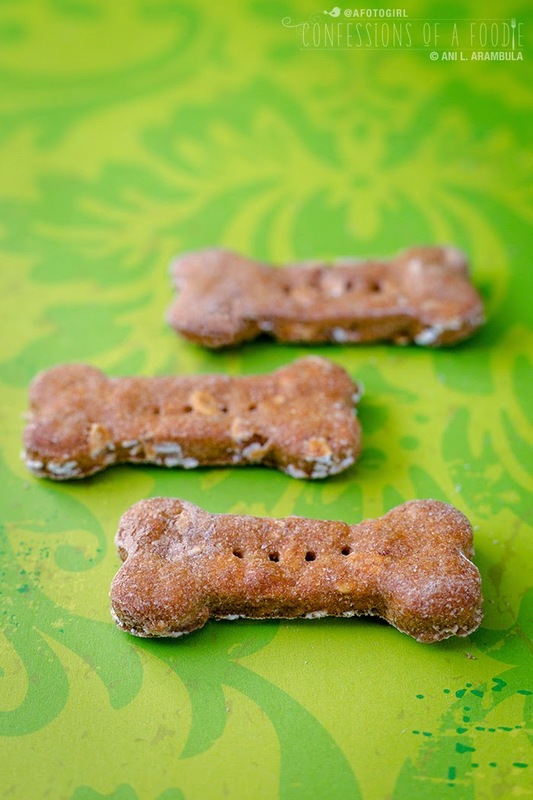 Show your dog how much you care with homemade dog treats. 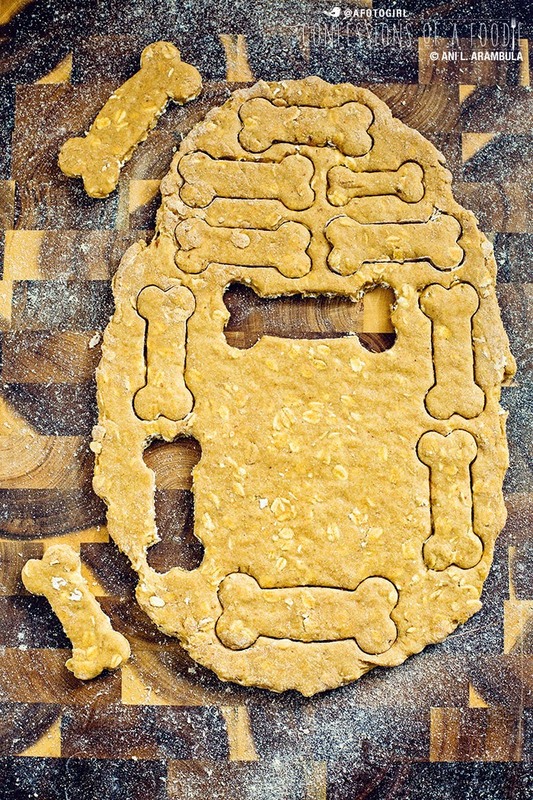 Incorporating organic baby food, these biscuits will be enthusiastically woofed down. 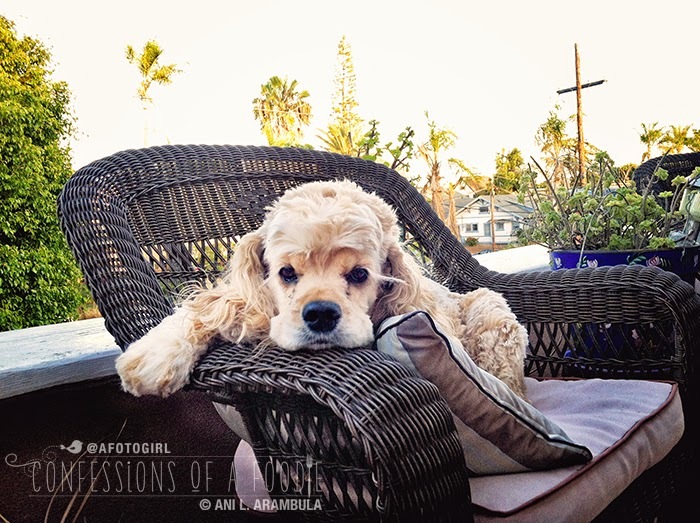 “No matter how close we are to another person, few human relationships are as free from strife, disagreement, and frustration as is the relationship you have with a good dog. 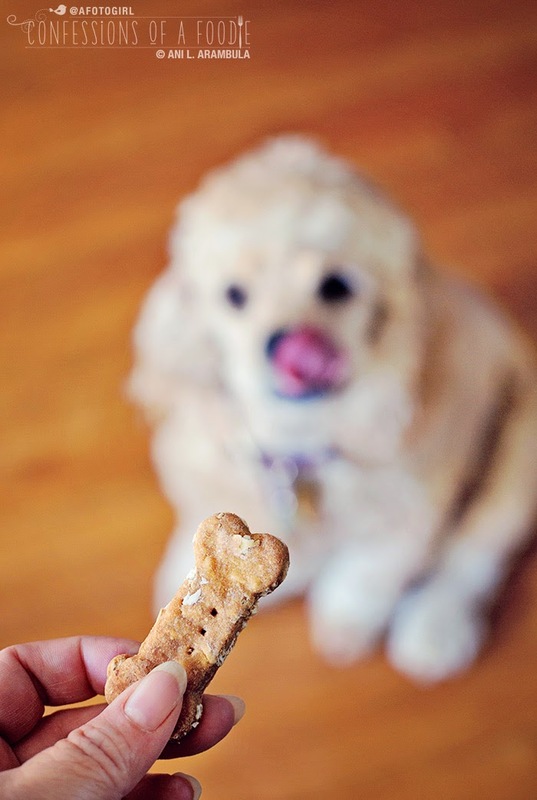 Few human beings give of themselves to another as a dog gives of itself. Can't say that I ever wanted a dog. Not as an adult, anyway. I was afraid of them, truth be told. The fear stemmed from a traumatic experience that my best gal pal and I came upon one day on our way home from school. We were maybe in the 3rd grade (you know, back in the days when we kids actually walked home from school on our own everyday). We were about five blocks from home (she lived two houses down from me) when we happened upon on a horse of a dog loose, wandering the neighborhood. It chased us nearly the rest of the way home, at one point knocking me down. It nipped at me and I remember thinking, this ginormous dog is going to bite me. Okay, so maybe the dog wasn't as big as a horse but to a couple of terrified grade school girls, my memory says it was huge. Fast forward to me in my 20s and 30s and most of my friends had dogs. I would obligatorily pet them, the entire time praying the dogs wouldn't lick, bite, sniff, chase, hump or pounce me. Most of my friends went so far as to put their dogs in a bedroom when I went over. The last four years, however, I've been, quite literally, owned by a dog. And I can't imagine my life any other way now. I find myself going up to perfect strangers to kneel down and pet their pooches, joyfully accepting their little canine kisses. No longer do I hurriedly walk the other way when I see a pit bull, german shepherd or great dane heading in my direction. Instead, I walk confidently towards them, accepting their curious inquiries if they desire or ignoring them altogether if they're aloof. When we are out on our walks, she greets everyone equally and enthusiastically. When we're home, she steadfastly guards the house from strangers, giving warning barks to people she doesn't know and then smothering them with kisses if I invite them in. I can be gone all day, leaving her at the window, watching me walk to my car, her head often cradled by her little paws, breaking my heart at the sight of those "puppy dog eyes" watching me leave her and yet the very moment she sees me walking back up the steps again at the end of the day, she's up, little nub of a tail wagging so vigorously her entire behind wiggles frantically. And just like that, she's forgiven me for being away from her for 8 hours. She loves. I mean, whole being, down to her very depths, loves. She makes jokes, too - seriously, this girl is a trickster. She plays with abandon, chasing me around the house and eagerly waiting for me to turn the tables and chase her around the house. She must sniff, taste, lick, and explore every new item that is brought into our home. And best of all, she approaches new experiences as an adventure. Every night, I feel her as she goes through her ritual of kicking up the pillows and bunching the covers, then going around and around in circles before plopping herself on the little nest that she's made for herself next to me. I feel her kick me in the middle of the night as she dreams, legs moving quickly in the air and a soft cry or growl emanating from deep within her causing me to wonder, what does she dream about? As I walk around the house, collecting the umpteenth ball my auntie has lovingly provided for Starbuck, I am awestruck by the joy in my life. My joy-filled life now, that is, with this dog. 1. Preheat oven to 350 degrees degrees. Line a cooke sheet with parchment paper. 2. Mix together all of the ingredients in a large bowl until a dough forms. 3. Turn out onto a lightly floured work surface. 5. Knead until the dough is smooth and holds together. 6. Sprinkle some flour over the dough and rolling pin. Roll dough out to about ½ inch thick. 7. 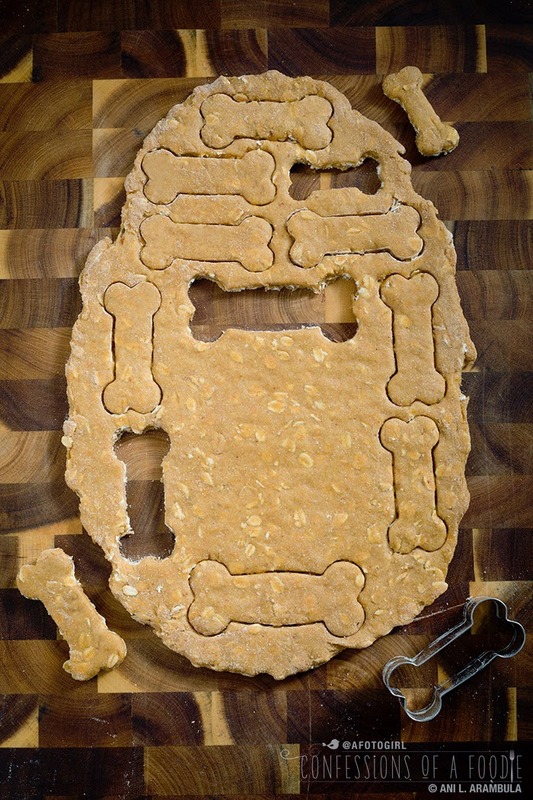 Use a dog bone or heart shaped cookie cutter to cut out dough and place on prepared cookie sheet. 8. Bake for 20 minutes for a softer cookie and 25 to 30 minutes for a crunchier, drier cookie. or up to 4 weeks in the refrigerator. 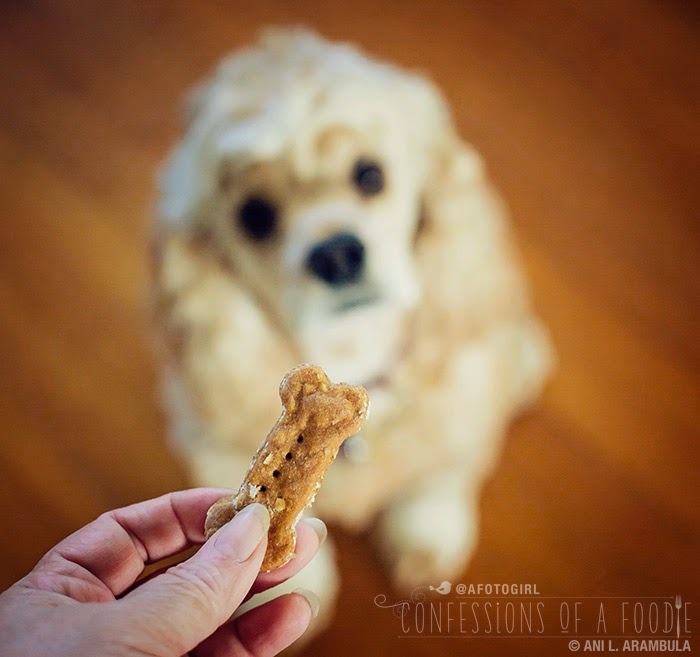 Ani, I just baked a batch of puppy biscuits last w/end w my friend! 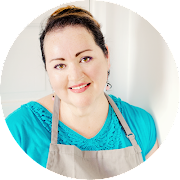 Love your recipe and your baby! Ani, the baby wants to know when is her mommy going to make her some more treats...poor starving skinny minny Starbuck!